The heat of the summer provides the perfect breeding ground for insects, particularly those of the biting and stinging variety. Some bites, like those from mosquitoes or ants, are just a nuisance and take time to get over. Others, like bed bug bites, indicate a potential infestation that might require the services of a pest control specialist. And, there are other bites that are quite serious and could require medical attention, like those from a black widow spider. Understanding what different bites look like and being able to identify where they came from will help you know what steps you need to take to remedy the situation. Black widow females like to hang out near tree stumps or wood piles. They are fairly easy to identify, as they have a reddish mark that looks like an hourglass on their belly. A bite from a black widow might cause pain on the affected limb but not always. You should be able to see one or two distinct fang marks near the bite area. In addition, the area around the bite will be red and tender. Symptoms include muscle cramps, vomiting and nausea. If you suspect a black widow bite, seek a doctor’s care, as you might require anti-venom medication. Believe it or not, mosquitoes are the deadliest animals in the world. They are responsible for more than one million deaths every year, although they are seen as more of a nuisance than anything else in the United States. Their bites are fairly easy to identify; they itch like crazy and the affected area is red with a slightly raised bump. To avoid getting bitten, cover up as much as possible and try to eliminate any standing water from around your home. Most people are not aware that a bed bug has bitten them until after the fact. 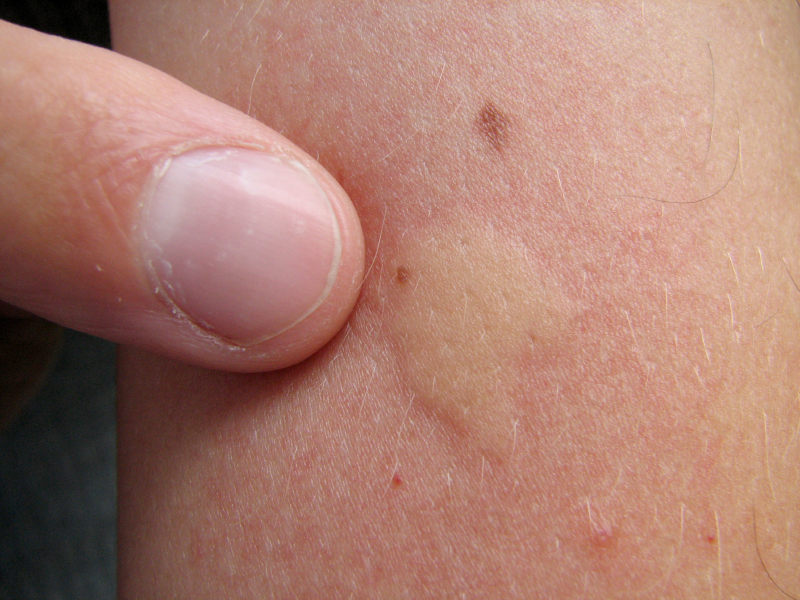 The bite itself does not hurt, but after an allergic reaction takes place (24 hours or more after the initial bite), the affected area itches and becomes red and raised. The bites are most often found on parts of the body not covered by clothing, like the arms, face, neck and hands. In addition, the bites are normally present in rows with two bites or more. One fire ant typically stings several times, so affected individuals often wind up with multiple welts on their body. The stings hurt and may also blister. Some victims have an allergic reaction to fire ant bites, so it is important to speak to a doctor if you have trouble breathing, feel nauseous or swell more than normal. Bug bites are unfortunately very common in the summer. Some bites are simply a nuisance and are not really anything to worry about. Others can be a much more serious problem, which is why it is important to be aware of the different types of bites and know how to identify them. Do not let those bugs get the best of you! Take control of the situation to avoid any issues. Great post!! To get rid of all types of pests like mosquitoes, bed bugs and more , you can hire professional pest control service.